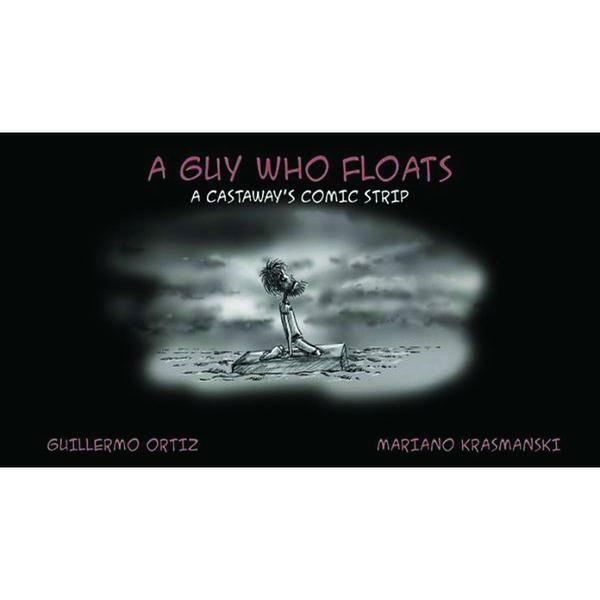 After last week’s nautical shenanigans in Black is the Color (Fantagraphics), we’re back on the ocean wave with A Guy Who Floats, a 112-page collection by the Argentinian team of Guillermo Ortiz and Mariano Krasmanski, translated into English for the first time. The bittersweet, simply drawn strips describe the misadventures of a shipwrecked castaway, bobbing about on the deep blue sea with only a wooden box to keep him afloat. Helpless and alone, and beset by the weather, physical deprivation and a hungry shark, he develops his own droll view of the fragile nature of life. Ultimately, Oritz and Krasmanski get us thinking about whether losing everything we think of as ‘essentials’ might actually be a liberation. I’ll admit, the Infinity epic crossover event left me feeling a little underwhelmed. The heroes’ victory felt a bit hollow considering the way that Thanos was defeated. Infinity did manage, however, to cause a great, big dynamic shift in the Marvel Universe, and one of the most interesting plotlines continues in this book. The Inhumans’ inner political structure has been turned upside down, and there are more changed, secrets, and deceptions than ever. 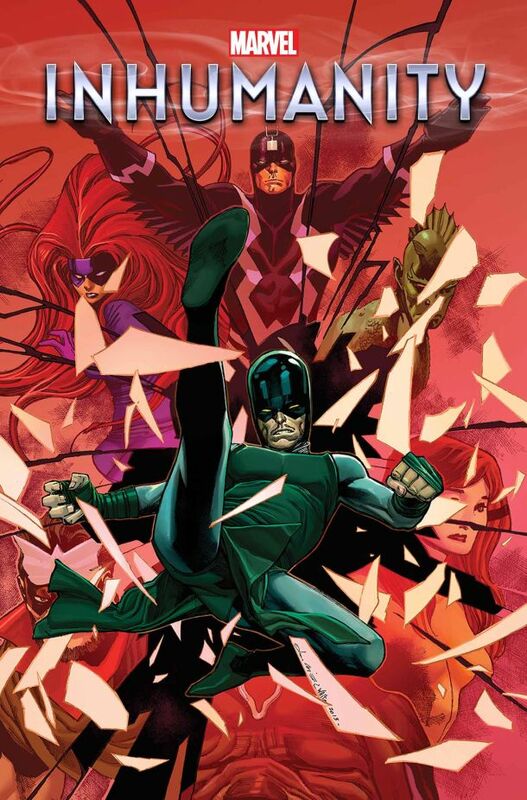 With things so tense and chaotic, how will the weakened Black Bolt deal? Matt Fraction has a talent for imbuing his characters with an entertaining level of snark and sarcasm, even when facing the gravest of threats. I can’t wait to see how he handles this cluster@#$% of a royal family. 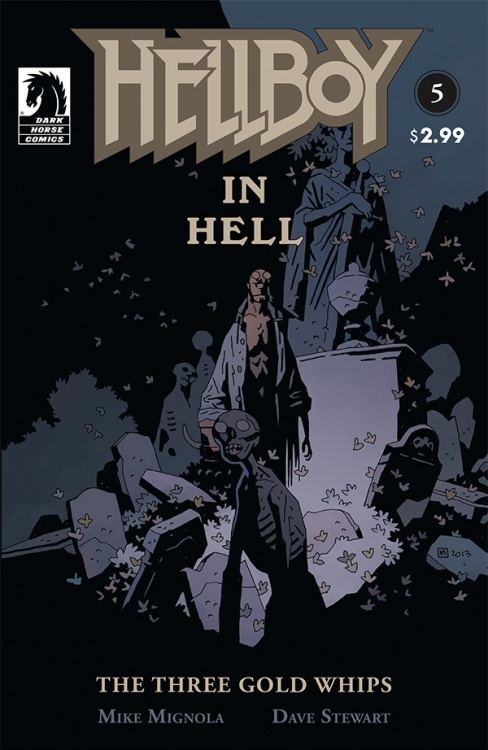 Originally launched one year ago, Hellboy in Hell features Mike Mignola, the titular demon’s creator, putting the character through his paces yet again. Following up on the book’s recently concluded first story arc, this issue tells the standalone story of a man who sold his soul to (the now deceased) Satan in exchange for a mystically empowered whip. 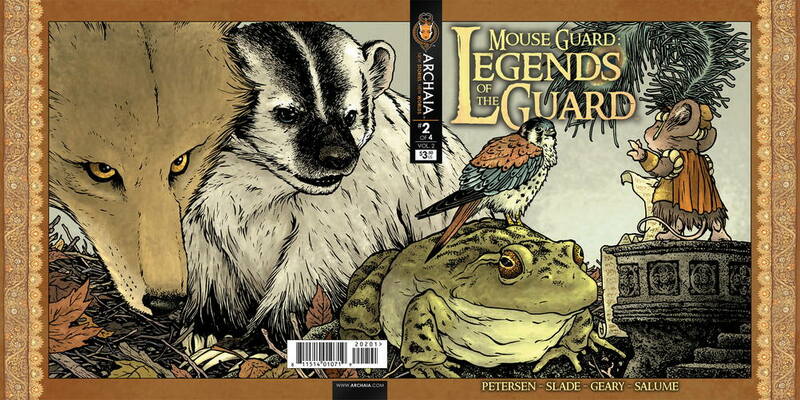 For those who don’t know, that’s one of the lesser-known fairy tales of the Brothers Grimm, and with Mignola at the helm, things can only get weird from there. 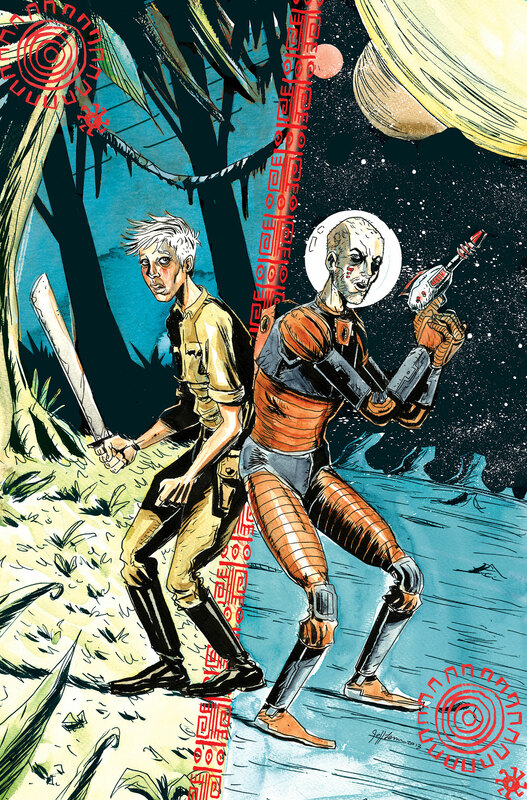 Jeff Lemire’s Trillium reached its halfway point in epic fashion last month. Without spoiling anything, I’ll say that Lemire once again changed the rules of his own book. Where the story goes from here is completely beyond me, but that is what makes reading this series on a monthly basis so exciting. The sci-fi love story is notable, not just for the beautiful artwork or intricate writing, for the unique storytelling techniques Lemire employs that could only be done in the comic book medium. 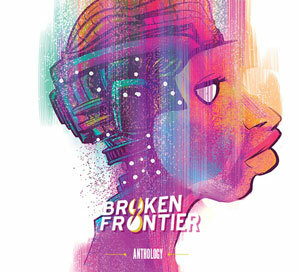 Almost single-handedly, Trillium is proving that Vertigo is not dead yet. An unpaid bar tab is a serious matter. And any opportunity to erase a bar tab without actually coughing up one’s cash must be undertaken with the utmost care and consideration. The patrons of the June Alley Inn are once again spinning their tallest tales of the Guard in an effort to win away their debts. We all knew this was coming, but could this be it? The return of Peter Parker. 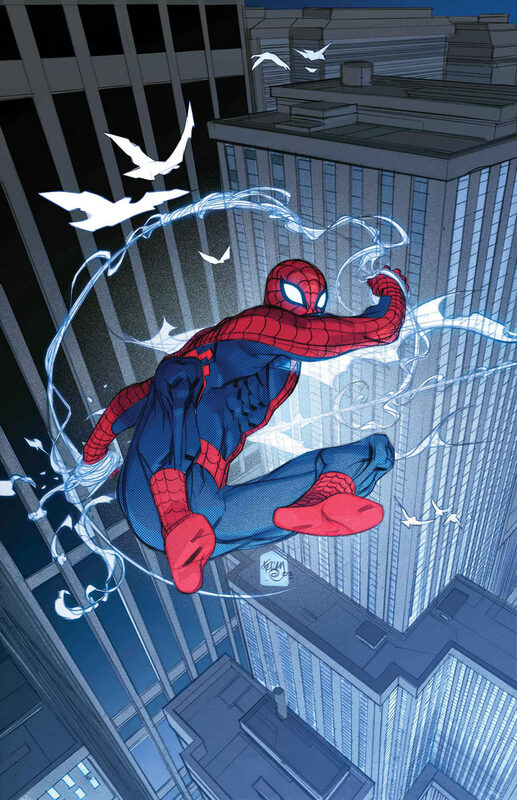 A couple of weeks ago, The Superior Spider-Man teased that Doctor Octopus’s body, which houses Parker’s mind, might still be alive and out there on the loose, and according to the solicits for this issue, his return starts here. I’ve thoroughly enjoyed Ock’s time as the Superior Spider-Man, but I’ve been sorely missing that skinny kid from Queens who swings around the city trying to do the right thing. It will be exciting to see how the experience has changed him.